More than a half billion Lincoln Wheat Penny coins were minted by the U.S Mint in 1948, which definitely makes issues from that year “common” in every sense of the word. Furthermore, no significant varieties were minted in 1948, aside from the usual Philadelphia, Denver, and San Francisco issues. 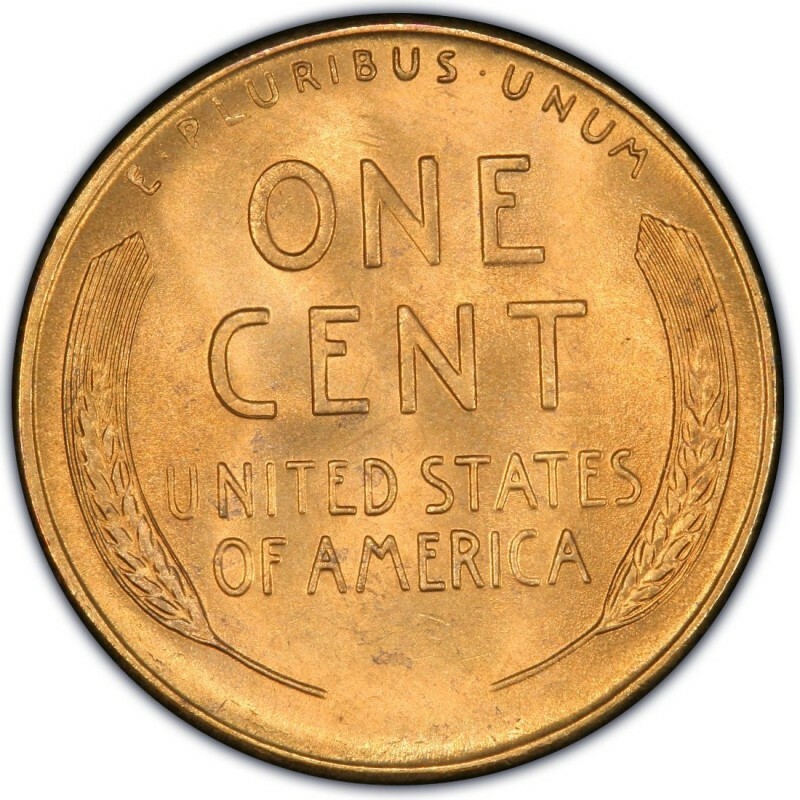 So, purchasing 1948 Pennies is neither a challenge nor an expensive endeavor for most coin collectors, unless, of course, you are counting the ultra-high-grade uncirculated specimens which do appeal to many coin collectors and investors with more than a few dollars to spend on Pennies from that year. The Philadelphia Mint struck 317,570,000 Lincoln Wheat Penny coins in 1948, with 172,637,500 minted in Denver (D mint) and another 81,735,000 in San Francisco (S). In general, you will not need to pay more than about 20 cents for a nice, circulated 1948 specimen from any of the mints, though for about $5 you can buy a choice uncirculated specimen with beautiful luster and original color. If you’re a coin collector who loves a little challenge, you may want to try looking for examples of this coin from pocket change. Rolls may yield better luck than looking through loose change collected from daily transactions. 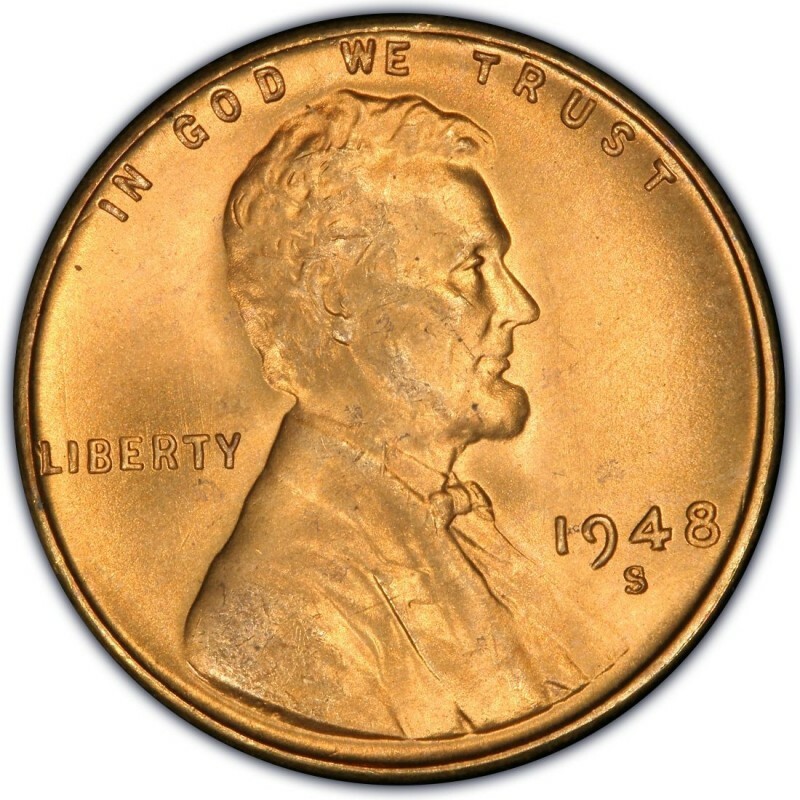 Whether you want a single circulated 1948 Lincoln Penny or several Mint State examples, do your best to look for specimens that are free of problems (cleaning, severe nicks, etc. ), as original examples will always present better in a coin collection (and do better resale wise) than coins riddled with imperfections.